This was another successful tSB winter introducing our youth (and a few mentors) to the incredible sport of snowboarding and we want to celebrate the end of the season with you. Come to Poquitos on Capitol Hill this Monday, May 12 from 3-8pm. There will be a pig in the ground, music from DJ Mullet and great company. 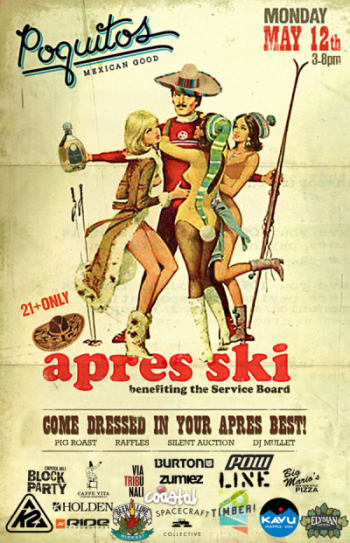 Ninkasi sales benefit tSB and we are also raffling off tons of gear from our friends in the snow industry as well as two three-day passes to the Capitol Hill Block Party and four weekend passes (plus camping!) to Timber! Outdoor Music Festival. You could even go home with shot ski of your own. Bring your friends and celebrate with tSB.